Ever since Hermann Hesse suggested back in 1927 that the cost for one admission is your mind, metaphors of magic theatres, carnivals and fun fairs have been popular among those wanting to illustrate altered states of mind. During the psychedelic 1960s the use of such symbols was so frequent and often so ignorant that the serious concept degenerated into a meaningless prop, much like what happened with incense or prayer beads. But as Hesse showed in "Steppenwolf" it is a powerful image with plenty of artistic possibilities. 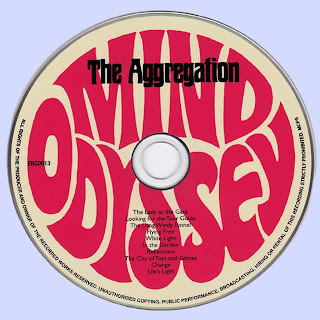 One of the more remarkable uses of the "funhouse" as a metaphor for exploration of cerebral frontiers can be found on the 1969 "Mind Odyssey" LP by Los Angeles band the Aggregation. The LP is a somewhat obscure cult item today, and not many listeners are likely to realize how immediate, and ironic, the band's use of the concept is. A 5-piece of college graduates, several of which had degrees in music, the Aggregation were one of a small number of rock bands who played regularly at Disneyland. Hit covers of the day were delivered as a diversion for visiting teenagers, but the band also composed original music to work in conjunction with the rides and expositions on offer at Disneyland's "Tomorrowland". The details behind the Aggregation signing with LHI and the work on the album can be found in the accompanying website interview, leaving us to concentrate on the resulting music. 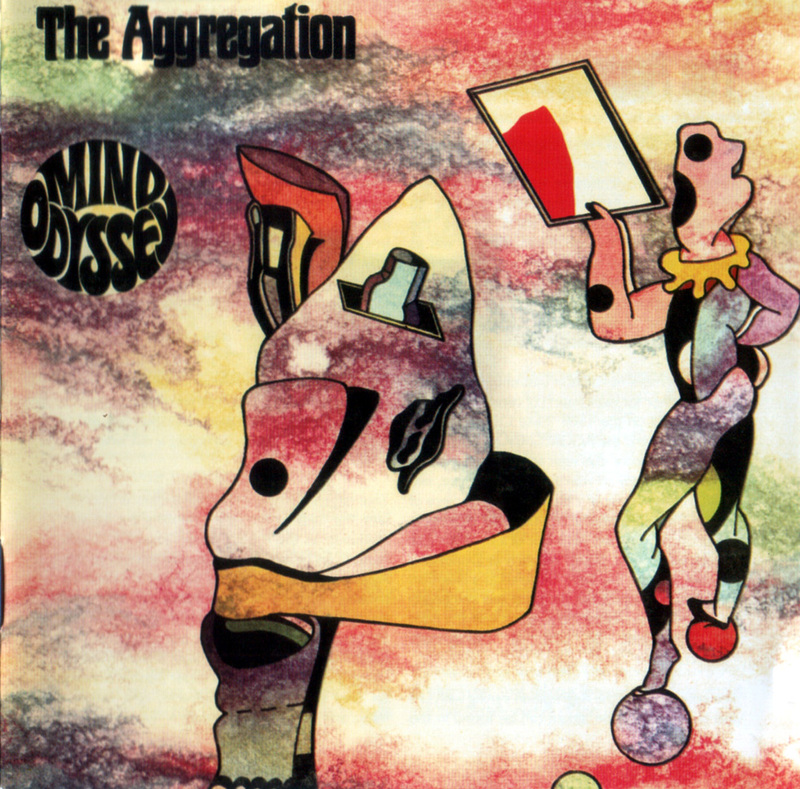 "Mind Odyssey" is a completely realized concept LP that uses a visit to an amusement park as a metaphor for an inner, ostensibly psychedelicized, journey. The most remarkable aspect of "Mind Odyssey" is that its' surface is deceptively similar to any number of cheesy concept LPs that appeared in the wake of "Sgt Pepper", yet if you stick around it will open up to reveal layers of elaborate composition and internal logic that surpass all those Beatles imitations, and indeed Sgt Pepper himself. The Charleston/vaudeville track is a telling example -- on the typical post-Pepper album this is a throwaway number made for no other reason than to echo "When I'm 64". When Aggregation does one it makes perfect sense, and even convinces of its need to be there, although it's unlikely to be anyone's favorite track. 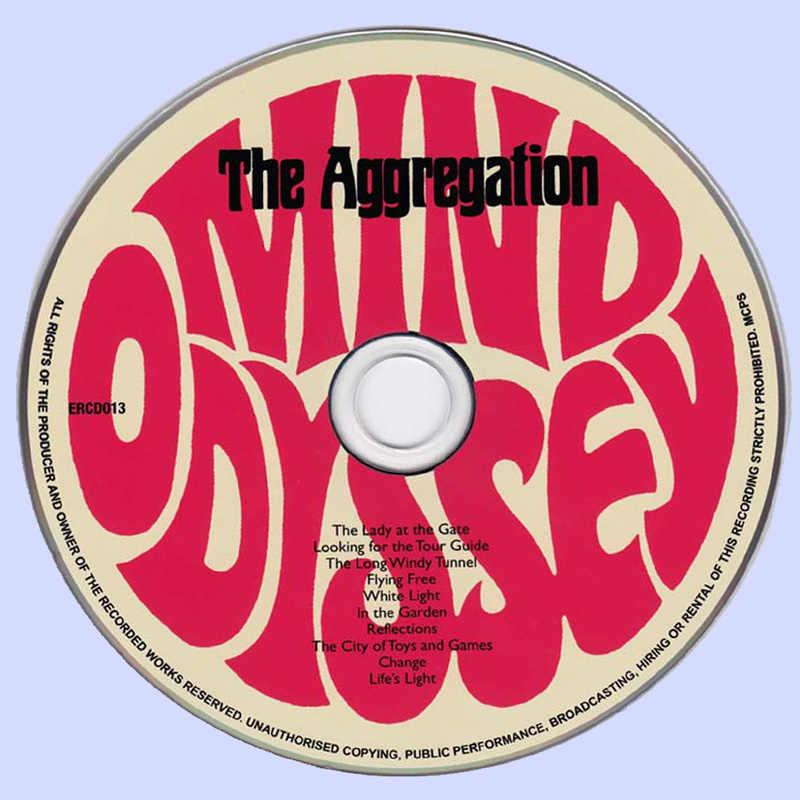 Formally trained and mature enough to understand the use of irony and intermusical references, Aggregation uncover a terrific analogy for a psychedelic experience in Disney's "Tomorrowland", and the way they proceed to deliver it makes "Mind Odyssey" one of my favorite albums from 1969. I bet old Herman Hesse would have liked it too. Very pleasant to listen, this album deserve to be discovered or re-discovered. Many thanks for the sharing, Marios. One of the greatest US psych records with a dreamy, surreal quality of the super rare lone psychedelic LP from the band 'Aggregation'. The music is sophisticated and controlled, replacing the teenage mantra that had charged rock'n'roll with a wider palette drawing on cool jazz, movie soundtracks, light classical music and easy listening. This group of talented and diverse musicians played Disneyland in the late '60s and was picked up for this one excellent Concept album by Lee Hazlewood on his LHI label in 1968. Unusual and atmospheric early art-rock/psych item based on an acid trip amusement park concept from classically trained band who held a residency at Disneyland ! This LP could be seen as a precursor to those extraordinary 1970s private press artefacts, and reveals its classic and coherence over time. Worth investigating !